(Francisco Kjolseth | The Salt Lake Tribune) BYU hosts their eighth-annual football media day at the BYU-Broadcasting Building on Friday, June 22, 2018, as head coach Kalani Sitake makes the interview rounds. Kalani Sitake warned me. And I warned him. The day he was officially introduced as BYU’s new head football coach, I sat in the lobby of BYU’s broadcasting building writing a column about him, all the while worrying about a different column I might one day have to write. I didn’t want to think about that different column. I wanted to focus on the work at hand, the happy promise of that particular day. All the other media members had vacated the building. Sitake had spoken to a throng of reporters in a group session, answering group-session questions. No one-on-one interviews were to be granted, per BYU’s media relations staff. I typed away in a soft chair in that lobby, alone, writing about all the good things Sitake was bringing to BYU football. The nouns, verbs and adjectives flowed as the minutes spun by. After 10 fistfuls of them, Kalani and his family came walking through, heading for the exit. Good people. His dad gave me a hug. He gave me a hug. His wife lined Kalani and me up for a picture. Brett Pyne, BYU’s media relations director, looked on with an expression on his face that indicated he either was about to vomit or faint. I never could tell which it was. Either way, Sitake and I exchanged salutations. I’d known the man for years and always respected him and liked him. I considered him a friend because … well, everyone considers Kalani a friend. He is practically impossible not to like. He’s warm and personable and humble and fair and smart and loyal and trustworthy. Everything you could want in a friend. I congratulated him and wished him the best. He wished me the best, too. I looked down at my feet and shuffled them around, and then said to him, in so many words, that if he did well, I would write and say he did well. And if he didn’t do well, I’d have to write and say he didn’t do well. He understood, and encouraged me to do exactly that. He advised me that that was my job and he expected nothing less. Well. This is the column I never wanted to write. 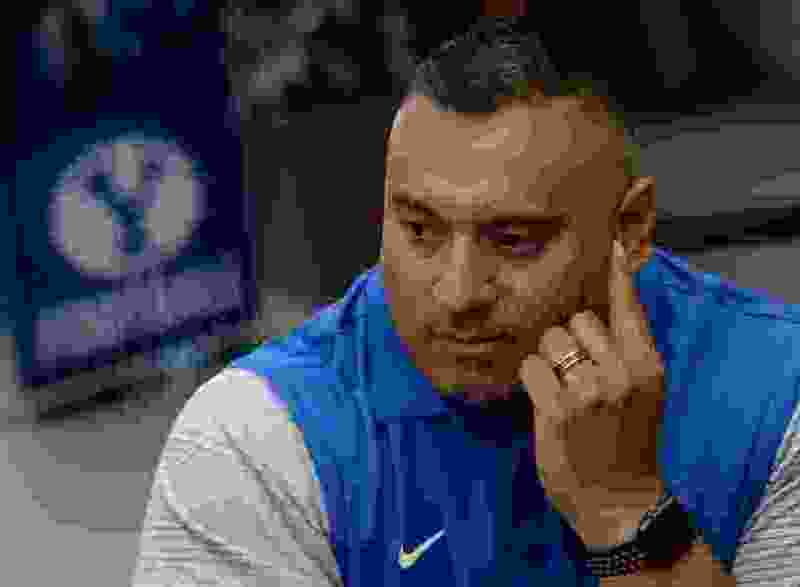 Sitake did the right thing on Monday as he blamed himself for BYU’s problems, even though he was only partially right. Again and again, he embraced accountability, even though it kicked him hard in return, and took responsibility, washing large bittersweet doses down in gulps that darn near drowned him. Here’s the truth about BYU football: It is not in a good place. Eight games into Sitake’s third season, coming off an embarrassing loss to a MAC team, Northern Illinois, the Cougars are on shaky ground. The only thing that illustrated those vibrations more vividly than the pathetic final score, 7-6, was how empty LaVell Edwards Stadium was. A full third of the seats were unoccupied. Even the ghosts of past BYU greats seemed far, far away. It was almost as though they never played there, they never existed. The evidence that they did? So many seats that used to be filled. On its home field, then, against an opponent it had no business losing to, BYU couldn’t score a single touchdown. It had one golden opportunity, a first down at the Huskies 5-yard line. Two false-start penalties and an incompletion, mixed with a couple of other plays that fell short, killed the chance, and the Cougars kicked a field goal, leaving them a point short, a point that held up for the rest of the game. You saw it. You know. Sitake, beating anyone else to it, blamed himself for the ineptitude, for the mistakes, for the loss. He said he had to be better. He said he has good players, he just needs to organize and coordinate and motivate them in an improved manner. Some of that is true. But here’s something that’s even truer: Sitake has to recruit more better players. That’s the real root of BYU’s troubles. The Cougars are not good enough, not talented enough, not skilled enough, not fast enough, not athletic enough. They lack the playmakers necessary to consistently win games. They can win some of them, but not enough of them. Not even enough of the ones they could win. Putting together enough 15-play drives, gaining modest bits of yardage, over and over again, is difficult to do. Something usually goes wrong. They need big plays. But he doesn’t have enough players to do it, at least not week in and week out. Recruiting was supposed to be Sitake’s strength. He was projected to reel in players who Bronco Mendenhall, with all his clunkiness, couldn’t reach. And he quite simply hasn’t done that in the numbers necessary to lift the program. There are limitations inherent to BYU with its independence, its honor code and its stringent and sometimes unbending academic standards. Sitake has attempted to get talented players into the program that other administrators have blocked. That’s a fact. It’s also a fact of life at BYU now. Jim McMahon’s not walking through that door anytime soon. Not anymore. In his 34 games as BYU’s head coach, Sitake is a level 17-17. He might get to a bowl game this season with six wins, a modest achievement that should be utterly attainable, given that the Cougars still have UMass and New Mexico State on the schedule, along with Boise State and Utah. Most anyone can see where the remaining losses and where the wins are. On the other hand, BYU did lose at home to the Minutemen last season, so there’s that. To say the Cougars have underachieved this season is to overestimate their talent. They have some fine players, just not enough of them to meet the general expectations of a fan base accustomed to better results. Too many holes in the lineup make even the good players look substandard. Lesser talent can rise up here and there, but not everywhere. BYU beat Wisconsin on the road. It lost to NIU at home. That pretty much illustrates its season. And just like Sitake said on Monday, that’s his fault. He’s in charge. He’s the one responsible for the talent — or lack thereof — in his football program, quirky and restrictive though it may be. He’s the one who has to get the most out of what he does have. He’s the one who has to get more. He’s falling short. He’s messing up. It hurts to write that, but it’s my job, and it’s true. Kalani Sitake’s a helluva nice man, a good man, a good friend. And a sound football mind. Maybe he can turn this thing around. Maybe he can’t. Right now, though, there’s a whole lot of room for doubt.